Senator John Kelly: I was out of the country when the findings of Dominic McGinn SC were brought to Cabinet in respect of the murder of Fr. Niall Molloy. I am disappointed at his recommendation. Having said that, I am not surprised, because the only remit Dominic McGinn was given was to review a botched Garda investigation file. In his findings he said there were serious shortcomings in that investigation. To my amazement, he has recommended that no further action be taken because the time span, 30 years, is too long. There are people still alive who can bring closure to this case. Forty-three years after the fact we are still looking for answers with regard to the murder of Jean McConville, which I agree with. In the next couple of weeks the Minister for Justice and Equality will recommend a Presidential pardon for a Tipperary man, Harry Gleeson, for the murder of Moll McCarthy in Tipperary in 1940, on foot of a subsequently discovery that he was wrongfully hanged. The notion that we cannot do anything about the Fr. Niall Molloy case 30 years on is flabbergasting. Something very corrupt took place here, to the degree that the most notorious criminal in the country at the time, Martin Cahill, saw fit to break into the Attorney General’s office and rob the Fr. Niall Molloy file and use it to do a deal with the Garda not to extradite John Traynor, one of his criminal allies, from the UK. If that does not say it all about what is going on in this case and the corruption involved in it, I do not know what does. An Cathaoirleach: Does the Senator have a question for the Leader? Senator John Kelly: I ask the Minister for Justice and Equality to initiate a full commission of inquiry into the murder of Fr. 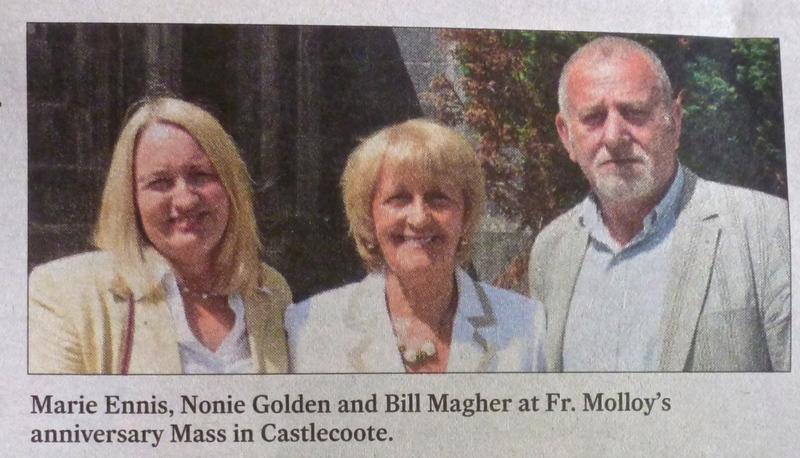 Niall Molloy to bring closure, fairness and justice to the Molloy family, because to date this has not happened. Notwithstanding the best efforts of the Gardaí and the Government I have to reluctantly conclude and concede that we may now never see justice for Roscommon priest, Father Niall Molloy and his family. The recommendation of the review into this tragic and unsolved case of the murder of Father Molloy in Offaly that any further inquiry would most likely not lead to any positive outcome is disappointing and frustrating. While it is almost 30 years ago since Fr Molloy was murdered, if this happened in any other jurisdiction we would be horrified and appalled that such a crime could go unsolved and unpunished. This was Clara, 1985 and there are those still alive who know the truth of what happened and continue to frustrate the investigation and deny justice to Father Molloy, his family and loved ones. The Government and Minister for Justice are to be commended for their quite exceptional course of action in directing a review of the case by the Garda Serious Crime Review Team and a further independent assessment of that investigation by Senior Counsel, Mr Dominic McGinn. Such a review and revisiting of the Father Niall Molloy case was first sought in the Senate by myself and my colleague Senator John Whelan, three years ago. 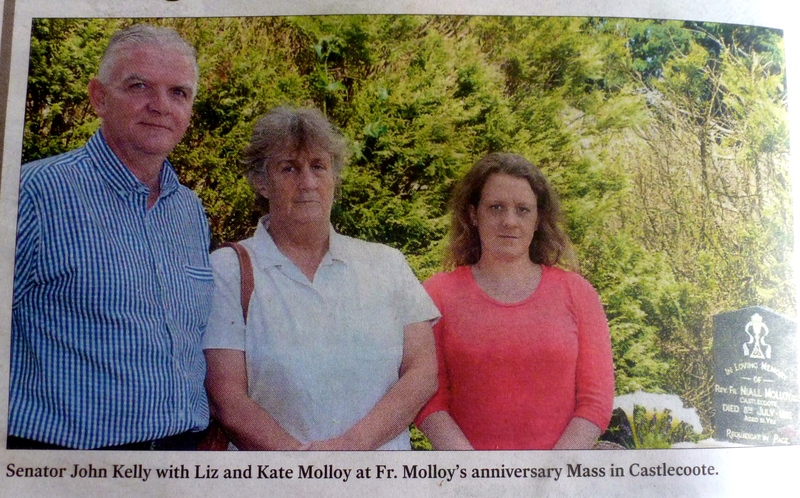 While the review has been useful and worthwhile in terms of shedding some light on the sinister events of July 8th, 1985, it is nevertheless inconclusive and brings no closure to Father Molloy’s family and friends. The report determines that many important questions remain unanswered and that the truth of these appalling events may never be established and that any further inquiry would serve no useful purpose. 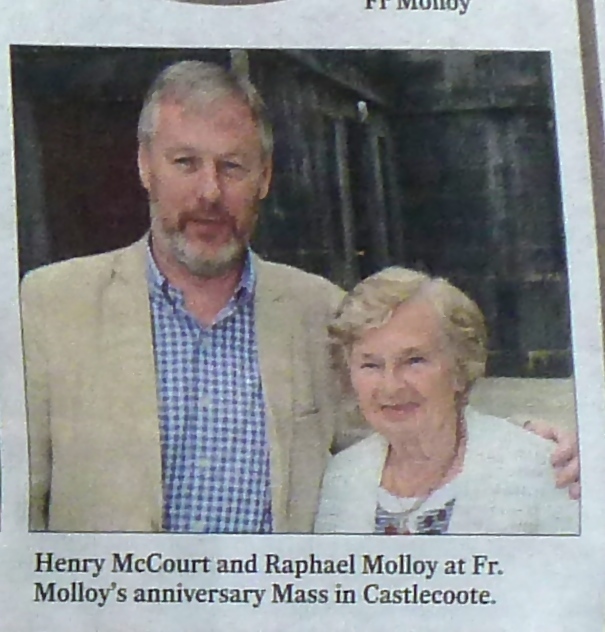 That as it may be, the murder of Father Molloy did not take place in the Deep South 100 years ago, but in County Offaly as recent as 30 years ago. Some key witnesses and protagonists have evidently since passed away, however, there are those who in the view of this 100 page report have still not been frank, forthcoming or truthful in what they know of this awful event. 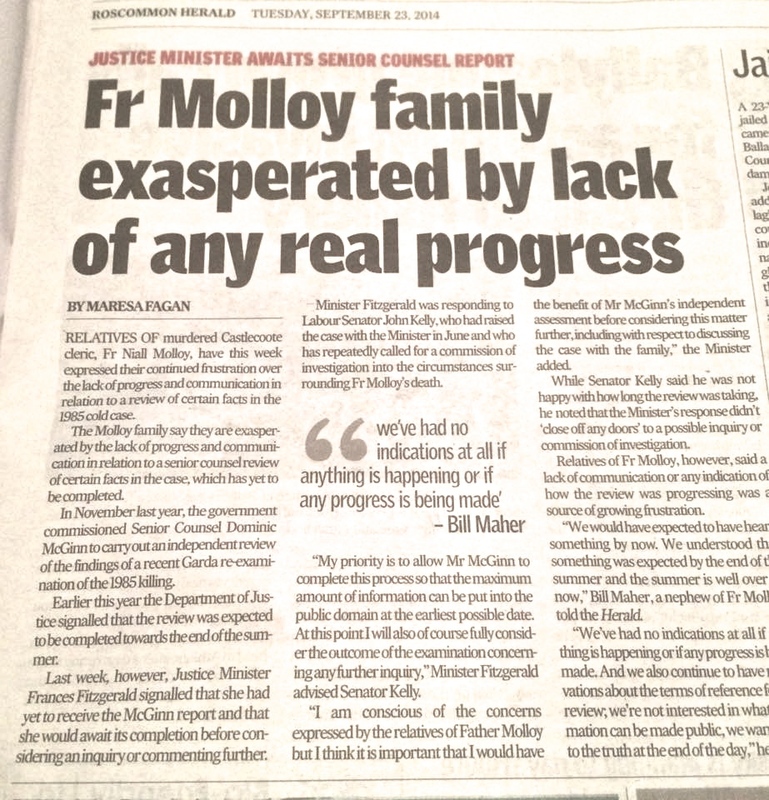 The report has served some purpose, but those responsible for the murder and cover-up of the murder of Father Molloy have served neither time nor justice. Notwithstanding the conclusions and recommendations of this thorough and comprehensive report I continue to appeal to those who have evidence to come forward even at this late juncture, to clear their conscience, to clean the slate and to bring closure to this sordid chapter in Clara’s history for all concerned and affected. If they do not, we will never know the truth, justice will not be served and the shadow that this casts reflects upon us all. “There have been concerns expressed regarding this case for many years, and it was therefore very welcome that the Garda Serious Crime Review Team re-examined it in a comprehensive fashion. The outcome of that process was that a further prosecution was not directed by the DPP. 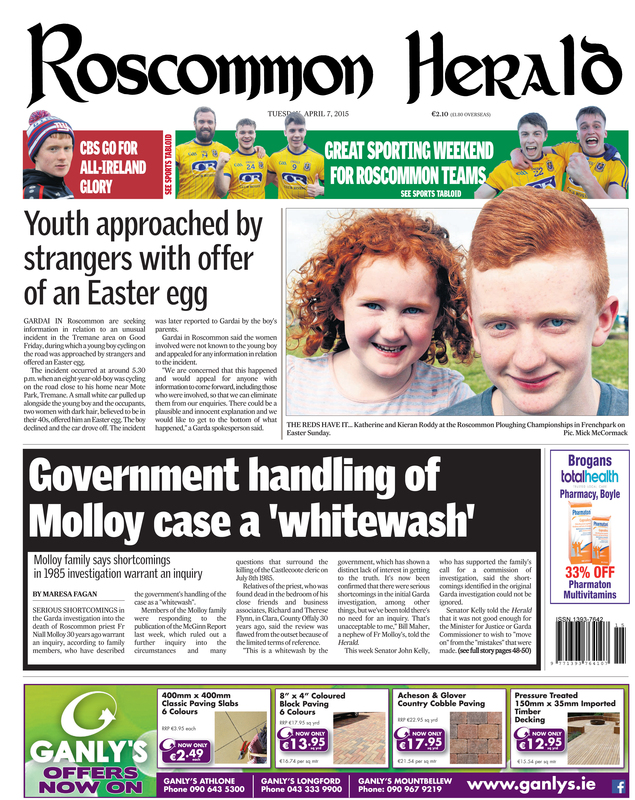 That decision will have come as a disappointment to Father Molloy’s family but we need to recognise that this is the independent process through which our system determines whether criminal charges should be brought for serious offences. The DPP must proceed on the basis of evidence and the law, notwithstanding the strength of feelings which exist regarding a case. “As Minister I have no role in the prosecution process but I am of course very aware of the claims which have been made about Father Molloy’s death over many years. In an effort to address concerns about this matter, it was decided to appoint Mr. McGinn to independently assess what information could be put into the public domain regarding the case, and to advise as to whether further inquiry would be warranted. This was an exceptional course of action, motivated by the desire to bring the greatest possible transparency to bear. LABOUR SENATOR John Kelly is the latest candidate to put his name forward to contest next month’s bye-election.